This entry was posted in Locks, Residential and tagged Home Locks, Home Security on September 30, 2015 by Locksmith Sarasota. Nothing is more important for your family’s safety and the protection of your assets than a reliable home security system. Installing high security door locks on every entryway is the most effective and reliable way to fend off unwanted intruders. 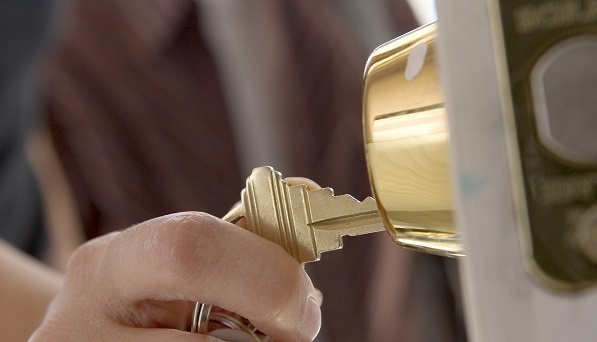 At Locksmith Sarasota, we have everything you need to secure your property and protect your loved ones. There are several types of home security door locks that you can choose. From basic, to high security, to convenience. Discover the information that you need to know now regarding these residential house locks. When it comes to discouraging unauthorized entry to your home, nothing is more effective than a deadbolt lock. Most doors have a basic key-in-knob lock, which utilizes a spring to hold the bolt in place. If you apply enough force to the bolt, it can retract regardless of whether you use a key. Because a deadbolt lacks a spring mechanism, it is impossible to force open by turning. A single cylinder deadbolt mounts on the interior face of the door and features a twist knob inside and a key cylinder outside. A double cylinder deadbolt also mounts inside but has key cylinders on both sides, so a key is needed to lock it or unlock it from inside the home. The double cylinder lock is a good option if your door is next to a window. With a single cylinder lock, an intruder could break the glass, reach in and twist the inside knob to gain access. 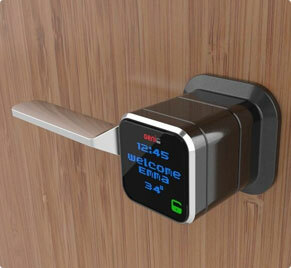 A keyless deadbolt eliminates the need for a key. To gain entry, you enter a numeric code on a keypad. You never have to worry about misplaced or stolen keys and you can change the code quickly and easily if you ever suspect someone knows your combination. This pin pad code-type of system, is also convenient if you ever need to let someone into your home when you’re not there, like a repair man or babysitter, but don’t want to give them a key. After they’re gone, you can simply just change the code. We at Locksmith Sarasota offer a wide variety of high quality home security door locks to suit all your home security needs and we carry locks made by the most trusted manufacturers in the industry. Whether you need a deadbolt for your front door or a secure locking system for you sliding glass patio door, our professionally trained locksmiths can provide you with the best locks your money can buy. Investing in high security door locks for your home is a small price to pay for the peace of mind you get knowing your family and personal possessions are safe.